To kick off my shiny new blog, I thought I’d start with the basics: my top 15 tips on how to improve your writing. From perfecting grammar and plot twists to avoiding boring description and the dreaded cliché, these are the tips and tricks I’ve picked up over the years at uni, online, and through my own trial and error. This is a flying visit to each point, but I’ll update the page with links as and when I cover the individual topics in more detail. NB: I’m not a professional editor or tutor – my advice is for writers from a writer. I’ve been there, done that – and this is what works for me. I hope it works for you, too! Write the first draft, and enjoy it. Whether you’re a plotter or a seat-of-your-pantser, don’t think too much about it, don’t obsess over it – just write. Your words will be raw, but it doesn’t matter. Your first draft is all about preparing yourself for your second, where you’ll rewrite almost everything and turn your messy story into a novel. Give yourself as much text to work with as possible. Your second draft is where the hard work really begins. It’s all about giving the reader credit: if someone drinks a lot of coffee in a book, they like coffee. You don’t have to spell it out. A good way to think of it is in terms of a movie: if your work was a film with no narration, how would you show the information you want to give? I know, I know, it’s everyone’s least favourite topic – but it’s important. These are the building blocks of writing, the rules we all need to follow. Learn your their/there/they’res, Oxford commas, the difference between a semicolon and a colon… Once you can wield grammar, there’s nothing you can’t achieve. Remember: while what you write will always be the most important thing in a story, how you write it is what changes your idea from okay to outstanding. Nobody’s perfect – and your characters shouldn’t be, either. Humans have flaws, passions, obsessions, and quirks, and it’s your job to capture those on the page. Not every character has to be likeable, but they all need to be believable. If your character is weak with no backbone, don’t just have them float through the book doing nothing: show their internal struggle between cowardice and courage. If they’re shy, make the reader feel their cheek-burning insecurity from up close. If your villain’s hell-bent on destroying the Earth, give us a reason why. Your main character should grow and develop as your story unfolds, and by the end their experiences will have changed them – usually for the better. In the simplest of terms, a character who’s terrified of the water will have learned how to swim. How does your protagonist grow? This is boring – and it’s unnecessary. We don’t need all this information, especially about looks. Instead of dumping a load of information about a character into their first appearance, scatter it throughout the rest of the scene and beyond. Be clever – make the words work for you. See what I mean? Gradual. Sometimes, you know, people can be, like, pretty vague when they talk. It’s faltering. Stop-start. And we don’t really say what we mean. As a writer there’s always a burning desire to get this information down on the page – but you mustn’t. We don’t need a character’s whole life story to love them, to empathise with them, to detest them. A bit like with physical description, drip-feed the reader relevant bits and pieces as the story progresses, not all at once. And trust me, most of a character’s back story should stay firmly in your first draft and not venture into your second. Think of it this way: if a character’s back story is so vital, why isn’t that your novel? People say there are seven basic plots in existence, and everything that has been or will ever be written is one of those plots. That’s okay. They work because they’re good, because readers like them. That’s why genre fiction – such as crime and romance – is so popular: the readers know what they’re getting. The trick is to add some spice, something unexpected, a unique selling point (USP). Whether that’s writing about a female pirate captain, a romance novel about a deranged stalker, or from the perspective of The Chosen One’s best friend, there needs to be something a little different. If your plot’s pretty standard, your writing has to be extraordinary to get noticed. What makes your novel stand out? This is the principle, coined by Anton Chekhov, that everything in a story must be relevant: if there’s a gun on the mantelpiece, it must be fired. Remember the idea of Chekhov’s Gun when you’re tempted to put in a bit of back story. Ask yourself: why do I need it? If you’re hoping to be traditionally published, you’ll need a literary agent. To get a literary agent, you have to have the best opening chapter you can muster – as well as a strong cover letter and synopsis. Agents gets a ridiculous amount of submissions, sometimes hundreds per week. That’s a lot of cover letters and first three chapters to get through, isn’t it? When agents – or more likely, their assistants – go through the slush pile submissions, they’re looking for reasons to say no. Don’t give them that reason. Aside from perfecting your spelling and grammar and your writing technique in general, you need a bold opening. Don’t start with back story. Don’t start with a character we’ll never see again. Don’t start with a character waking up and going about their day. Find an interesting, original moment and run with it. If someone picked up your novel in a bookshop without reading the blurb, what would they think about the first page? Clichés are old hat. They’re run-of-the-mill. They make your writing look clumsier than a bull in a china shop. Clichés come in the form of phrases (‘smooth as silk‘), idioms (‘raining cats and dogs‘), characters (the bitter, alcoholic detective), and plots (The Chosen One, the best friend-turned-lover). Story-wise, you can reuse tired plots and characters if you give them a unique twist or a refresh – for example, why is a step-mother so wicked? – but you want to avoid clichéd phrases as much as possible. Words are important: make yours mean something. All these commands are quite stifling, aren’t they? I think there’s room for a little bit of everything in a novel manuscript – but to make sure I get an even spread, I rotate. If a sentence has a semicolon, or a dash, or starts with ‘-ing’, I won’t use another of them in my next few sentences. I space it out. My characters do ‘mumble’ and ‘whisper’ – but at intervals. If one character ‘shouts’, my other character ‘says’. If a metaphor appears, another won’t crop up until the next paragraph. If I fancy a dramatic bit of grammar-flouting (eg. ‘It’d all been for nothing. Nothing.’), clauseless sentences are off the table until the drama builds up again. Think of it like an old, infuriating computer game: if you fire an adverb or ‘said’ synonym out of your plasma cannon, it’s got to recharge before you can use it again. ‘Said’, however, is always available. The outlawed words and techniques are the heavy hitters, the strongest attacks – so use them wisely. Save them up for when they’ll have the biggest impact. Don’t let your characters stand around and stagnate: get them moving. Push the plot forward a little at a time, dangling carrots above your readers’ noses to drag them further into the story. Add conflict, create problems, and build tension. Reading a book should be like unraveling Christmas lights: just when you think you’ve got it sussed, the wire’s all tangled up again. Back to the Future is a great example of this. Marty’s main goal: get back to 1985. But to do that, he has to: win over young Doc; find a way to power the DeLorean; get his parents together; save future Doc; hit 88mph the moment lightning hits the clock-tower. And we are never bored. What do you love about books? Whether it’s a will-they-won’t-they romance, a dramatic finale, shock twists, tear-inducing emotion, or a happy ending, take your favourite bits and make them your own. Write with a reader in mind. How are you going to entertain them as much as another writer entertained you? It’s easy to stick to the idea of writing for oneself a little too closely and miss the bigger picture: if you want to be published, you have to please a lot of people. Make sure you’re producing a book that’s as entertaining and engaging as possible, while still being true to your vision. Basically, write a book that you’d want to read if you picked it up in a bookshop. Goes without saying, doesn’t it? Log off Facebook, shut the kids in the playroom, turn off the TV, and write. Inspiration only comes to those who work for it – so what are you waiting for? 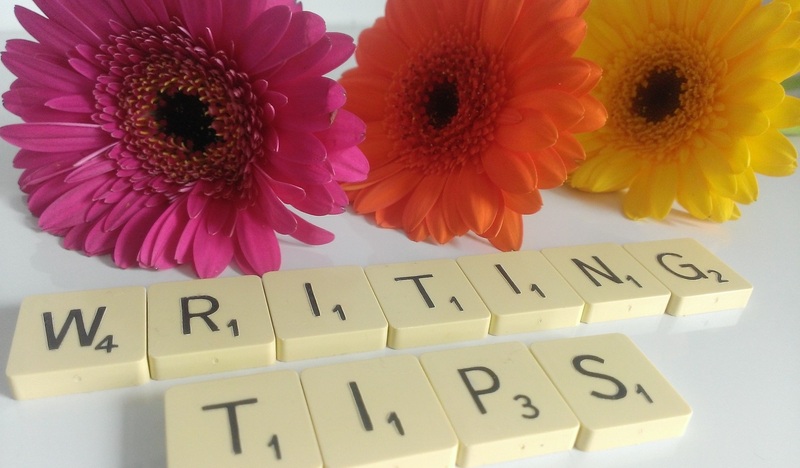 So, those are my top tips on how to improve your writing. What are yours? Have I missed anything vital? Grab a biscuit and let me know in the comments! I really enjoyed this… these are great tips for writers! I definitely agree with number 11 and avoiding clichés (though I am guilty of sometimes using them). However, one cliché I will always avoid is the best-friend-turned-lover. Thanks! Clichés are tough because some of them are quite tricky to spot, especially when it comes to phrases and metaphors. If you don’t realise you’re using them, it’s kind of impossible to fix! I do agree that some slip through the net – and that’s not terrible. Writing’s all about variety, isn’t it? Clichés can feel quite different with an author’s particular stamp on them, anyway. Don’t we all! I’m drafting my second novel at the moment and it’s unspeakably terrible. Fast writing is not my friend. Thank God for redrafts and editing!